Reducing plant downtime and maintenance is extremely important to modern day manufacturers, due to this more emphasis has been put on strainers. Damage to applications is commonly caused by pipeline debris such as scale, rust, and other solids, which may find their way into the pipeline system. 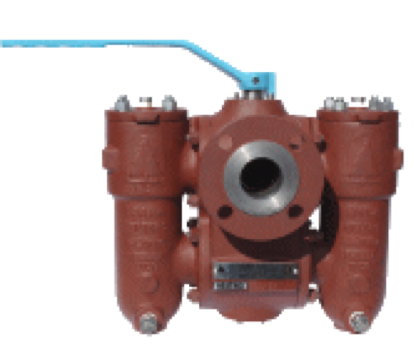 Strainers work to capture these solids and protect equipment from their harmful effects, thus reducing downtime and maintenance. At BM Engineering we supply a wide variety of strainers including duplex, basket and Y strainers. Strainers are essential for a range of industries that utilise hygienic equipment, some of these include food and beverage, pharmaceutical, dairy and cosmetic sectors. A duplex strainer (double basket) is used when the flow or process cannot be shut down and must continue to flow. The duplex allows you to shut one basket for cleaning while the other is still in operation. The screen is in the shape of a basket and is removed from the top and the strainer. These are normally used where larger amounts of solids need to be removed. They can come with a blow-off connection for manual or automatic cleaning. We also offer single basket strainers. A simplex strainer (single basket) is used when the flow or process can be shut down for a short period of time. The PN16 rating duplex strainer provides simple change-over operation with a linked ball valve mechanism and online chamber indicator. With the option of stainless steel or red oxidised finish, and a choice of basket screen sizes, this strainer is perfect for an array of applications. Y-Strainers are normally used when there is a small amount of material to be collected. The Y-strainer can be installed in the horizontal or vertical position. However, the basket must be to the bottom of the pipe, or facing the down flow direction, to collect the particles. A Y-Strainer can come with a blow-off connection for automatic cleaning. With liquids, Y-Strainers have a greater pressure drop than basket strainers because of their size. However, with gases, they have a relatively low-pressure drop. BME offers Y-strainers from a number of suppliers depending on the application. 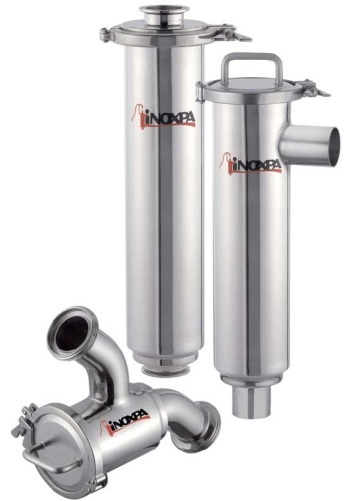 From Inoxpa we supply the full range of filters, including the Inoxpa 83700 Y-strainer and 81700 filter. For more information on our range of strainers, get in touch today on 0141 762 0657 or via email at sales@bmengineering.co.uk. What is the difference between strainers and filters? Strainers and filters are almost the exact same thing. However, the way in which they work is different. A filter is a device that removes particles from a specific liquid or gas. It includes a disposable medium for removing particles of specified micron sizes. A strainer is also a filter. However, it uses a perforated plate or screen mesh to remove larger particles from a process stream. The major advantage of a strainer is that it is reusable. What industries are strainers used in? You can find strainers in almost every industry: chemical, food, water, petroleum and paint. They come in different configurations, such as Y strainers, simplex strainers, duplex strainers and temporary strainers. 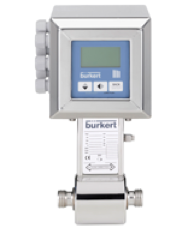 They are typically found upstream of sensitive equipment, such as meters, pumps, compressors, traps, valves and filters.